Upholstered furniture, especially those heavily used, require appropriate proceedings in the case of any dirt and stains. 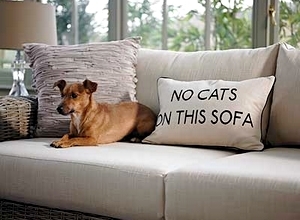 This applies to both couches, sofas, corners, as well as chairs, armchairs and a pouffe. Deposits such as dirt and natural wear of the surface layer of material is a common phenomenon. Particular attention to the issue of maintenance of the fabric must pay attention to all those who have pets and small children. Then the fabric are exposed to additional stains such. Following fluids, mud, crayons or coat. So how do we prepare for the eventuality of leisure furniture such dirt? The easiest way to buy a sofa with washable fabric (more on these materials can be found here), whose surface allows quick removal of stains with a cloth and water only. What if we can not afford such material or have already rest in a different type of fabric? Below you will find practical advice as to how to maintain different kinds of materials that you can find in our offer MeblujemyDOM and how to behave when the stain longer appears. 1. Remove the gray soap stains using a damp cloth or special cleaning agents ecological leather; do not use the funds to natural leather, unless they are designed for both types of skin (using the wrong agent can lead to stiffening, cracking and also to change the color and gloss surface of the product) . 2. Spilled liquid clear right away, wiping the stain in a circular motion from the outside to the inside. Note! Do not use the appliance to dry the product. 3. Do not use conditioning agents based on kerosene and alcohol, as well as products containing bleaches, solvents and ammonia. 4. Eco Leather may not be exposed to excessive moisture and dust. 5. Avoid excessive contamination of the product. Leather maintenance is carried out every 4-6 months using appropriate means care. Groomed skin is more resistant to dirt. 6. Eco Leather should not be exposed to direct sunlight (material may fade) . 7. Avoid placing hot objects on the product, for example. Irons, and do not place it near sources of heat, eg. Heaters or electric cookers (minimum distance is 1 meter). 1. 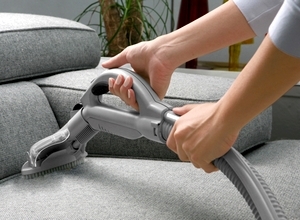 Remove dust and dirt using a cap cleaning upholstery or soft brush with natural bristles. 2. Liquid stains immediately with a clean absorbent cloth well . 3. Contamination of beverages, foods, confectionery, cosmetics, etc. Clean solution soft soap and water, using a soft cotton cloth. Avoid soaking the covering material. The fabric should be cleaned away from the edge to the center spot. Remove any remaining moisture with a dry, well absorbent cloth. 4. Avoid exposing the fabric to direct sunlight - colorants used to dye fabrics are sensitive to light. 5. Avoid placing the fabric near a heat source, eg. Heater, stove, etc. (Minimum distance is 1 meter). 6. Material can be compressed at low temperature. 1. Fabrics should not wash or spin. 2. Fabrics should not be dry cleaned or using products containing alcohol or other solvents. Avoid using bleach and carpet cleaners . 1. Fabrics can be washed by hand or in a washing machine to 40 degrees. 2. Fabrics can be dry cleaned, but should not be used for this purpose cleaner carpets and bleach. Offered by us is a flock material consisting of several layers. In order to provide him with adequate durability, keep it in proper cleanliness. The fabric should be periodically vacuumed or washed by hand using a soft brush. 1. Collect the spilled liquid absorbing material well, do not rub. The remaining liquid wipe clean, dry cloth (cotton cloth, paper towel, etc.) Gently compressing the fabric. If the fluid leaves the stain, wipe it with a soapy cotton cloth. Note! Soapy cloth turn over to the other side after each contact with the fabric. 2. Dry dirt (mud, ash, dust, cosmetics, etc.) Remove from the ingress to the interior fabric, preferably using a brush. If there are stains, wipe it in a circular motion using a soapy cotton cloth. 3. Spots remove white soap for hands, with a wet cotton cloth. Do this so as not to spread the stain on the greater part of the material. In order to clean the given surface in a circular motion, from the outside to the inside. After cleaning, wipe the area around the stain with a damp cloth. The material can be dried using a dryer - using a circular motion with the machine set at a low level of heat. 4. Flock be washed on the left side at 40 degrees, for a short spin program (up to 800 rpm). Do not use whitening products or alcohol-based solvents. The material may be compressed at temperatures from 100 to 120 degrees on the left side. For ease of ironing, you can moisten it before. Do not use the appliance to dry the fabric. Be careful when putting on a flock of light or medium colored dark products (eg. Blankets). Fabric can dye by friction or if the product is located wet. Additionally flock may not be for a long time exposed to direct sunlight, spotlights and other strong and hot heat. The primary way to care for leather and regular vacuuming (especially furniture), which significantly reduces the accumulation of dirt. 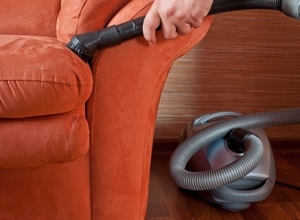 Usually, vacuuming and clean up homes on a weekly basis and that's when we also recommend you take a few minutes dusting leather furniture. 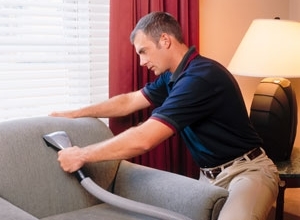 Vacuuming and dry, without detergent and water is fast using special reserved for this purpose dusters. Lack of water when cleaning dust does not mean that the dust is partially wiped, and partly rises and settles again. Special cloth to remove dust accumulate and attract dust. Do not leave streaks. 2-4 times a year you should perform a full cleaning and preserving treatments using specially designed cleaning kits. The frequency depends on the intensity of use and the individual assessment of the degree of contamination, but do not take breaks longer than six months (maximum durability of the coating impregnation). 1. Remove dirt with a cloth or sponge dampened in clean water, do not drench! 2. Allow to dry at room temperature. 3. On the cleaned surface can apply a small amount of paste or cream leather (please pay attention to the manufacturers' recommendations preservatives can be tested on a sample of the skin). 4. Gently polish with a soft cloth. 5. Do not use self-shining past! 6. Inadequate maintenance can cause permanent damage to the face layer and may be the reason for cancellation of the warranty . 1. Do not use polishes and creams ! 2. Gently remove dirt moistened cloth, do not drench! 3. Allow to dry at room temperature. 4. In order to revive the color can be applied to a special coloring agent for this type of leather (foam spray) . 5. To protect the impregnant can be applied to this type of leather, but keep in mind that the very bright colors can be dimmed even by the colorless impregnation. 6. Inadequate maintenance can cause permanent damage to the surface layer and may be the reason for cancellation of the warranty . - Use only genuine leather cleaner and follow the manufacturer's recommendations. Need more information or advice? You do not know what to choose fabric? Contact our Customer Service at +48 500 690 691 and use the help of a professional MeblujemyDOM.